Your kids will enjoy exploring the art of making a shadow box—an artistic display of an assortment of objects that represent a person, place, idea or story—with this extensive kit full of exciting materials they can arrange along with their own found objects. 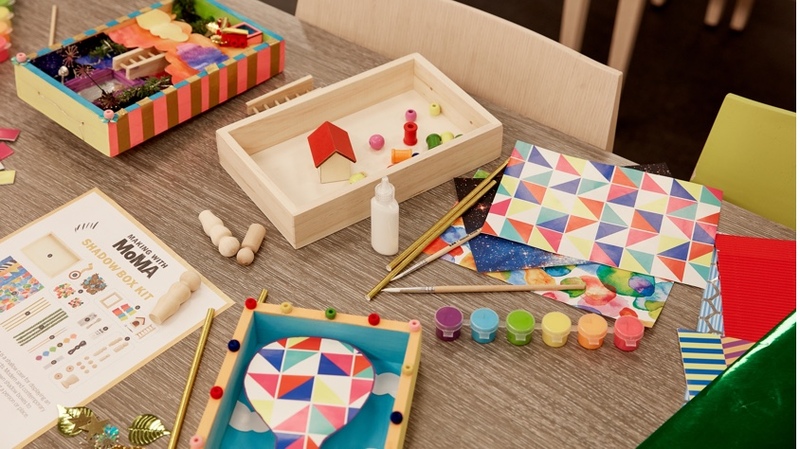 Designed by MoMA educators in collaboration with Todd Oldham, the Making with MoMA: Shadow Box Kit is based on art workshops and activities for families at The Museum of Modern Art. Ages 8+.